18"w x 24"h pen & ink on paper. 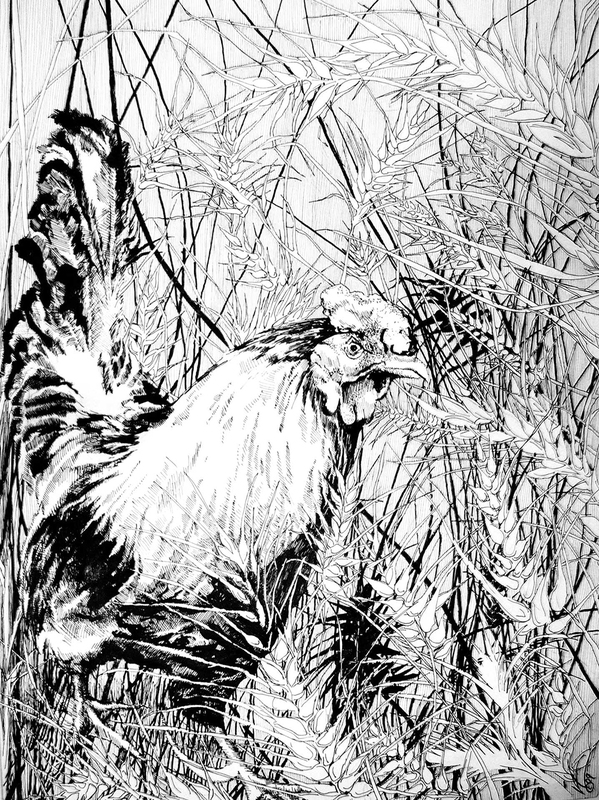 Pen & ink drawing of a rooster in a wheat field. All images are © Valerie Woelk, you must have my written permission to use any of my images. (PST) Pacific Standard Time Zone.